The very name aquamarine brings to mind the limpid, clear blue tint of the sea. Legend says that it is the treasure of mermaids, with the power to keep sailors safe at sea. 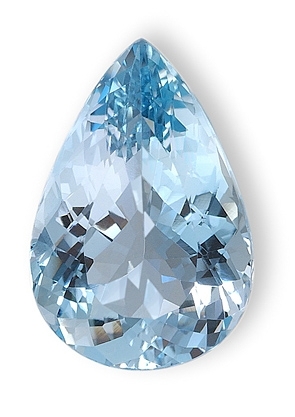 Aquamarine was long thought to have a soothing influence on married couples, making it a good anniversary gift.